Douglas Development Corporation’s original loan for the 200-key, 14-story hotel at 1011 K Street NW in Downtown Washington, DC was comprised of $35-million loan held by BHI and a $10.6-million mezzanine piece held by another investment firm. The 14-story Moxy hotel in Washington, DC opened in November 2018. 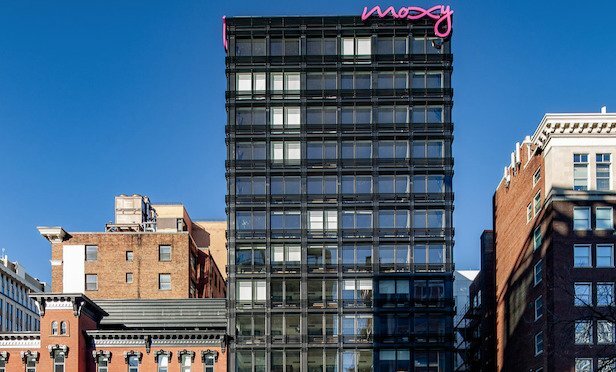 WASHINGTON, DC—BHI, the US division of Bank Hapoalim of Israel, has provided a $47-million bridge loan to refinance Douglas Development Corp.’s recently opened Moxy hotel here.